Wedding Assurance™ Guarantee is our promise to you that we only match you to the most reputable, trustworthy and experienced venues to handle your Big Day. We’ve conducted a comprehensive screening of our venue partners, with stellar recommendations from couples and industry professionals. We are so confident in our exclusive Bride-Certification process that we proudly offer couples our complimentary, money-back Wedding Assurance Guarantee up to $100,000. 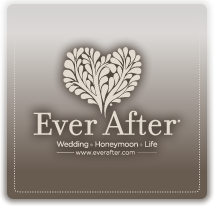 Our complimentary Wedding Assurance Guarantee enables you to have complete confidence in the integrity of that perfect venue we match you to in Las Vegas, Southern California, Houston or Dallas. Should issues arise due to insolvency, bankruptcy or cancellation caused by destruction, your Wedding Venue Specialist will notify you immediately and attempt to resolve the matter directly with the venue. If the issue cannot be resolved, we will seek suitable replacement facilities with another Bride-Certified Wedding Venue that can accommodate your initial guest count and reimburse you for out of pocket expenses already paid. You must notify the venue upon first contact that you are a Perfect Wedding Venue customer. 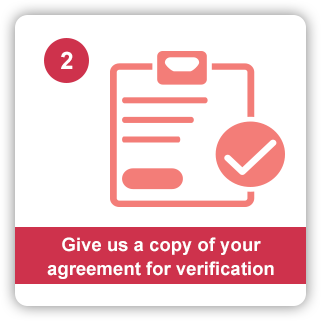 You must have a written agreement/contract with the venue with specific and definite terms. 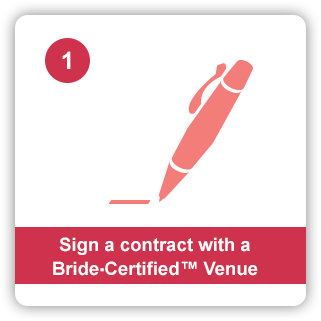 You must provide to Perfect Wedding Venue (to your Wedding Venue Expert) a copy of the venue contract within 5 days of signing the contract. Information required includes a copy of the contract, payment amounts, payments dates, and future payment schedule. Perfect Wedding Venue will verify amounts reported with each venue. Any discrepancies in said amounts shall exclude the transaction from the Wedding Assurance Guarantee. Wedding Assurance does not cover non-performance due to acts of God, weather, nuclear action, terrorism or war. Wedding Assurance applies to Bride-Certified Venues only up to US $100,000. When Perfect Wedding Venue attempts to find a suitable alternative to the original venue, suitability will be determined by a number of factors, including but not limited to guest count, price, location, availability of Bride-Certified Venues in the area. Although Customer requests will be taken into consideration, sole discretion lies with Perfect Wedding Venue. Perfect Wedding Venue does not guarantee the adequacy of performance based on subjective standards, as individual expectations vary from person to person and cannot be reasonably anticipated. 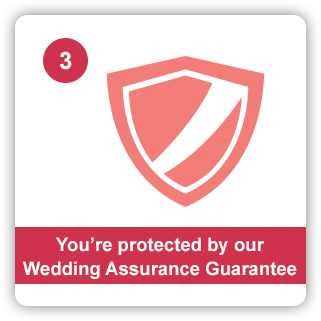 Should you fail to notify us during the specified time or fail to provide the contract, your wedding will not be covered by Wedding Assurance.